Well that escalated quickly. Hurricane Aletta became the first tropical storm of the eastern Pacific hurricane season on Thursday, and by Friday morning it had spun up into a Category 4 monster. The storm might not be done ramping up, either. The meteorological marvel is thankfully not forecast to make landfall (though rip currents and swells are possible along Mexico’s west coast this weekend), which means we can safely gawk at its beastly nature. The storm’s rise has been a swift one. 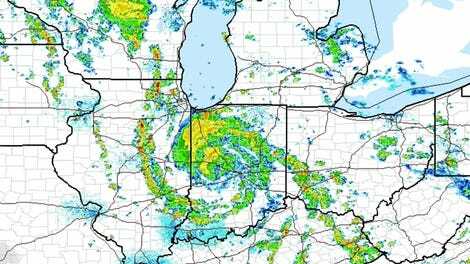 It became a tropical storm on Wednesday and puttered around throughout the day. But things changed in a big way on Thursday into Friday. At 3 p.m. local time on Thursday, the storm became the first hurricane of the eastern Pacific season as a Category 1 storm with 75 mph winds. The storm’s location—in the open ocean with no interference from land—and warm waters for fuel are what caused Aletta to blow up. 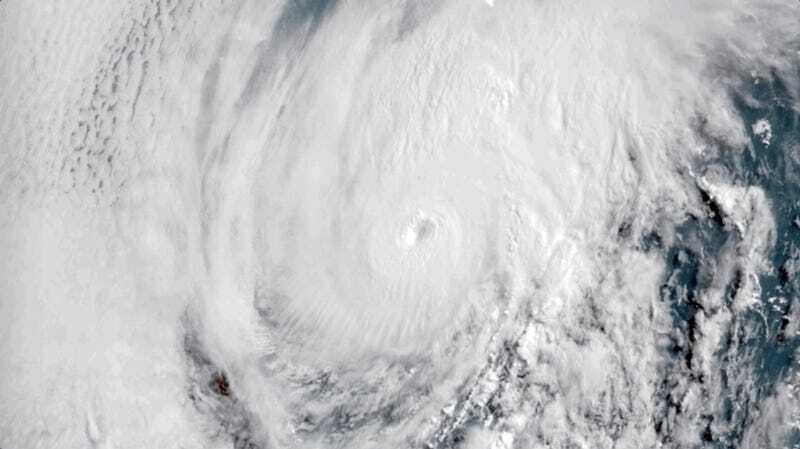 By 9 a.m. local time on Friday, it had ballooned into a Category 4 storm with 140 mph winds. That 65 mph increase in less than 24 hours more than meets the criteria for rapid intensification, a meteorological term for when a storm’s windspeed increases at least 35 mph in a day. Even the National Hurricane Center (NHC) seems a bit agog at what happened with Aletta. The forecast calls for Aletta’s winds to pick up a little more speed to 145 mph before it hits rough steering winds that will tear it back down to a tropical storm by the end of the weekend. Aletta may be a beast, but the eastern Pacific is no stranger to explosively powerful storms. You may remember that this same region spawned Hurricane Patricia—the most intense hurricane ever recorded—back in 2015. That storm rapidly intensified, peaking with winds at a mind boggling 215 mph (well above the 155 mph Category 5 threshold). Rapid intensification was also a hot topic last year during Atlantic hurricane season. Four storms blew up in the Atlantic last year, including Maria. How climate change affects rapid intensification is an active area of research. Some studies indicate the most intense storms are becoming, well, more intense in parts of the Atlantic. Other findings suggest climate change could cause Atlantic hurricanes to rapidly intensify more often as they approach land. Eastern Pacific hurricane season began on May 15 and after three weeks of relative quiet, it appears to be waking up. Another storm is on the horizon. NHC has an eye on an area of clouds and thunderstorms currently sitting off the coast of Central America that has a 90 percent chance of organizing into a tropical system in the next 48 hours, which would be named Bud. Early signs indicate that the storm could pose more of a threat to land, potentially getting sucked into the Southwest.